Music and film photographer Angela Izzo talked to us about her work, her series on Seattle, and shooting with Lomography. In her photos, she experiments with a variety of cameras, films, and techniques to create unique, collage-like images. Check out her interview below. Welcome back to the magazine Angela. What have you been up to since we last spoke? Hi Lomography! Thank you for having me back. Right now I have been working on upcoming art shows and taking photos non stop! I’ve been working across various media, developing my creative projects, showing consistently at galleries, and collaborating with muses and rad creatives around me to keep my spirit lifted. I’m growing a lot in my personal life, and my art has been growing as well. 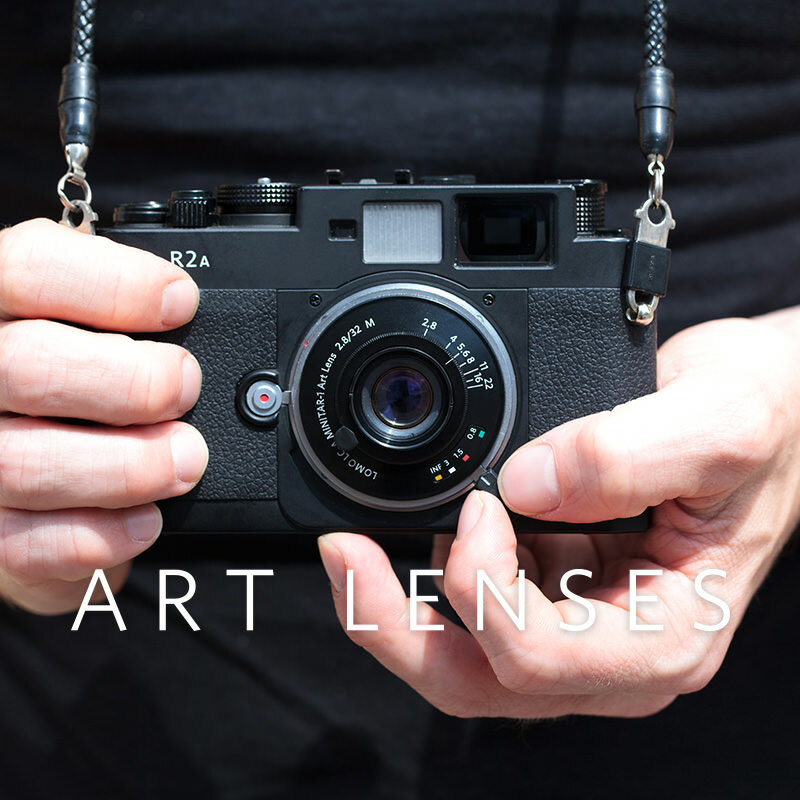 We've recently featured your photo take with our Art Lenses, but now you're back to plastic film cameras. How do you decide what kind of style you want to shoot? I love working with my different “toy” cameras. It gives me an opportunity to play and experiment with different styles and techniques. Each camera has a different look and one subject can be represented in multiple styles by switching the cameras. What gear did you bring on this trip? On my trip from LA to Seattle, I brought my Diana Mini, the Sprocket Rocket, and the Holga camera. I carried them all in my giant purse and would switch off when I came across something cool to photograph. It was your first trip to Seattle. How was shooting in an unknown city? When I first enter a new environment, I am fascinated by how all my senses are stimulated. Photography is channeling that in a way that captures the spontaneous moment of fresh discovery. Shooting in a place I have never been gives me fresh eyes. Magic happens when you are just wandering around and stumble across hidden gems to shoot. I had a blast exploring the city for five days and I was able to experiment with a number of different ways to shoot it. "It’s kind of like playing an instrument, [...] once you get the feel of how the specific cameras and the film work together, you can create your own techniques." Tell us a little bit about the technique you used for these photos and why. I like to overlap and layer when shooting film. After doing this a lot, I have a feel for the exposure and composition. It’s an art and a science. I often shoot in natural light, making sure to get enough light to make the colors I want to show pop on the film. I like to see the light hitting the subject strongly, so I usually get my subjects to face the light first, and then I adjust the camera angle to the subject. I know my equipment well so I know how to create the looks I like, and each camera I use has a different style. It’s kind of like playing an instrument, it’s hard to explain, but once you get the feel of how the specific cameras and the film work together, you can create your own techniques. You shot half frame with your Diana Mini. How did you go about composing those photos? My composing is strategized, yet very spontaneous. For this shoot in particular I used a photojournalism technique, street photography. I took pictures of the most interesting things I came across. because being on a road trip, I didn’t know if I would see them again. Working with her for so many years, I feel like I've mastered my style and technique by using that camera, and so it’s easier to play when you feel comfortable with how the gear works. I do use a lot of intuition. Working with new subjects outside myself, I see in each instance how I can juxtapose the subject, frame composition, and the light. It’s kind of like writing a poem in real time. It’s how you flow behind the camera with the variables in front of the camera that makes it art. Can you pick your favorite shot and tell us a little bit about the background/moment of you taking it? I really like the Sprocket Rocket shots of the layered city. I was wandering around the downtown area while my friend was working. I had a window of time to explore that part of the city, so I would stop and shoot, then keep moving. I did lots of exploring while taking all the photos. I also really love the photos at the lake because my friend Thea and I had a great time, and the pictures evoke happy summertime memories that I will never forget. The rainbow sidewalk photo I directed my friend to take of me so I got to sneak into a shot “You are here”. "Have fun and play, but don’t expect it to be perfect the first time." Any tips or advice for people who want to try shooting a similar style? It takes practice. Have fun and play, but don’t expect it to be perfect the first time. Read the manual, watch a YouTube video, get to know your camera settings, your film speeds, ISO, make sure your cameras are set at the proper settings so you don’t waste film. Keep track of your settings for future reference, so when you find a picture setting you like you can repeat it. Your camera should be your best friend, get to now how to work your equipment, then you can go crazy and be as creative as you can. Yes it will cost you money to shoot film, the photos may not always will they come out the way you were expecting, but sometimes they come out even better then you could imagine. Shoot away! What's coming up for you? Any cool plans you want to tease? I am installing a full scale photography mural that I shot on 120 film that will be showcased outside The Neutra Museum in Silverlake. I just co-directed a music video “Who Do You Love” for a Dorothy on Roc Nation. I’m also finishing a documentary “The Benders Circuit” about the electronic audiovisual performance scene in LA, produced by my company Tiger Eyes Media. Last words to our community? Check out more of Angela's work on her website and be sure to follow her Instagram as well. A camera dedicated to those preciously analogue sprocket holes, the Sprocket Rocket features a super-wide lens that flawlessly exposes the whole width of the 35mm film. Flaunt those sprocket holes in every shot! Enjoy a super panoramic view of the world with our series of Sprocket Rocket cameras and accessories. Fashion photographer Teresa Stephanie is bringing back the use of analogue film in the profession stage of photography with her quirky palette and dazzling portraiture. Young photographer Erica Snyder shares with us some of her latest work with the Lomography Color Negative 100 Film. Accomplished fashion and editorial photographer Sarah Tahon tells us why she shoots film on the streets of London in an undeniably digital age. Dimetri Hogan has been celebrating the beautiful things in life: Fun, Beauty, Summer. This September, he invited us all to celebrate with him - and brought the beach to New York City.